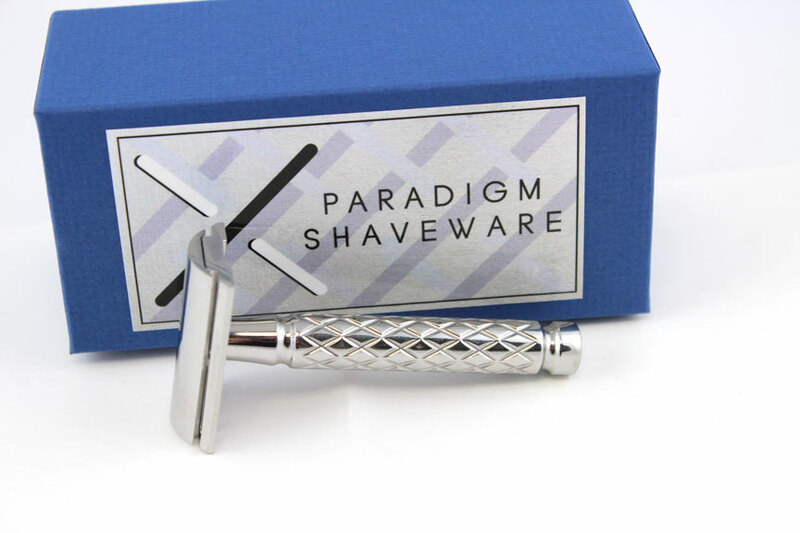 The prototype of the Paradigm Stainless Steel razor is on its way to me and I hope to receive it tomorrow (it was scheduled to arrive today but...you know how that goes). According to Andy, this model will be as efficient as the Titanium model but, it will be smoother with less blade feel. I can hardly wait to run it through its paces! 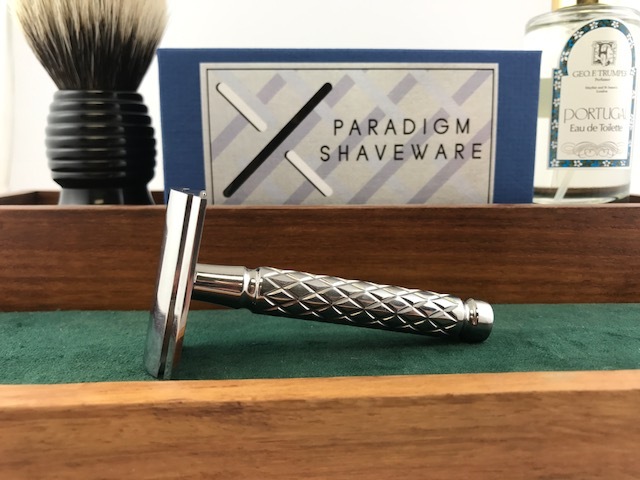 (10-16-2017, 08:06 PM)bullgoose Wrote: The prototype of the Paradigm Stainless Steel razor is on its way to me and I hope to receive it tomorrow (it was scheduled to arrive today but...you know how that goes). According to Andy, this model will be as efficient as the Titanium model but, it will be smoother with less blade feel. I can hardly wait to run it through its paces! We're looking forward to the pictures. The prototype arrived late this morning and I plan on taking it for a spin this evening. Here are a few quick and dirty pictures. My first impressions are very positive. The machining is excellent and it feels great in the hand. Weighing in at a modest 100g, it looks like it will be nimble and easy to handle. (10-18-2017, 03:53 PM)bullgoose Wrote: The prototype arrived late this morning and I plan on taking it for a spin this evening. Here are a few quick and dirty pictures. My first impressions are very positive. The machining is excellent and it feels great in the hand. Weighing in at a modest 100g, it looks like it will be nimble and easy to handle. Looks great Phil. We'll look forward to your report on the shave. Great looking razor... Any idea of the price point yet? Oh man...just take my money! I love my Titanium paradigm. If this is anything like that it will be a winner. Any idea when it will be available? 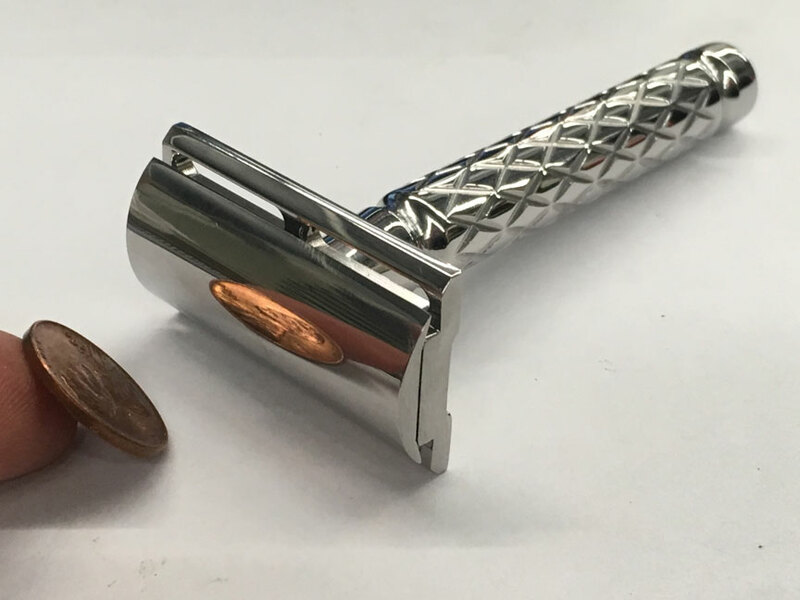 (10-18-2017, 04:12 PM)MikeL Wrote: Great looking razor... Any idea of the price point yet? I'm still crunching the numbers. I should know more in about a week. (10-18-2017, 05:03 PM)Whiskey Sour Wrote: Oh man...just take my money! I love my Titanium paradigm. If this is anything like that it will be a winner. Any idea when it will be available? They should be available in 2 to 3 weeks. The first shave with the razor was great. I would say the aggression level is moderate -definitely efficient without biting or being harsh. I used a Gillette Yellow and will experiment with a few other blades. (10-18-2017, 10:04 PM)bullgoose Wrote: The first shave with the razor was great. I would say the aggression level is moderate -definitely efficient without biting or being harsh. I used a Gillette Yellow and will experiment with a few other blades. I am going to use it a few more times before making a comparison. It is definitely a little more compact (10mm shorter handle and 30g heavier overall) which gives it a different balance. That looks like a Stork Consul handle. (10-19-2017, 12:25 AM)gcwilliams801 Wrote: That looks like a Stork Consul handle. They both have kind of a cross hatch pattern. Other than that...I don't see a huge resemblance. Here is another shot of the Paradigm. Handle reminds me of the vintage French Gardette razor. What will be the cost of this razor.